Prices: € 12 per person cruise only. Cruise + dinner € 54 to person. Visiting the website of the municipality of Rome, I found something that just did not know. Can organize a trip by boat along the river Tiber. I imagine the beauty of Rome at night view from the boat in one of the hot Roman summers. It must be wonderful. Ticket price € 12 per person. Damn I have also seen that organized the New Year’s Eve dinner cruise. fireworks fill the sky of Rome. I just hope it’s a starry night and everything will be perfect! I also saw that organize the dinner on the boat. Cost € 54 a person. A truly unusual and romantic way to celebrate a birthday, an anniversary or an engagement as an important day! I recommend it to all boys who want to impress his partner in a particular way. The entrance to the Basilica of St. Peter’s is free. For free you can see the Pietà by Michelangelo, the central altar of Bernini and all the wonderful works that are most important in the Basilica of Christianity. I’m booking a ticket online to enter the Sistine Chapel and Vatican Museums. 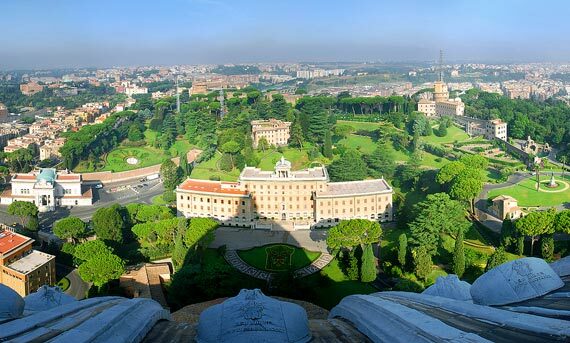 The entrance to the Sistine Chapel and Vatican Museums with the ticket online is expected. From 8.00 to 15.00 with entry every 30 minutes. Council to purchase tickets online to avoid making long queues waiting very long.